Whether you are a young family seeking a dentist who can take care of you and your children, have been in the area for years, or are new to Brookside and need a reliable dentist who is conveniently located, you’ve come to the right place. An Office You’ll Like Visiting. 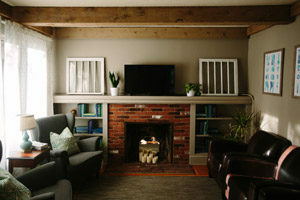 Join us in a comfortable environment where you can relax and feel at home. A Caring and Laidback Team. You are our #1 priority. We pride ourselves on understanding your needs. A Dentist You Can Trust. We pride ourselves on acting with integrity and treating you with respect. Whether you need teeth whitening or bleaching, a dental bridge, family dentistry, cosmetic dentistry, a tooth extraction, an emergency dentist visit or just a routine cleaning to ensure optimal oral health, our friendly dental office can help. See our Dental Services for more information. 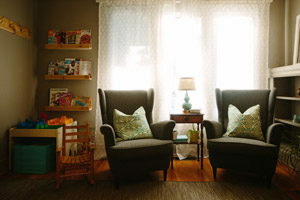 We offer reasonable, ethical, caring and friendly dentistry in a unique setting. Contact us to set up an appointment. "I love the new office. Dr. Sloop is very gentle while working on your teeth. Has a wonderful personality and really enjoy working with her patients. The office staff Rock also!!!!" "Everyone was super sweet and patient with me and my two minions. I highly recommend them to anyone needing a neighborhood dental office." "Dr. Sloop is an outstanding dentist and a caring person." "I love the new office and office staff, they have treated myself & my family and done so very patiently and efficiently! Thanks Sloop Dental!" 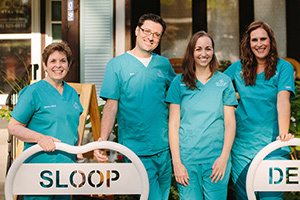 See the latest promotions and happenings from Sloop Dental. Sign up for our newsletter.